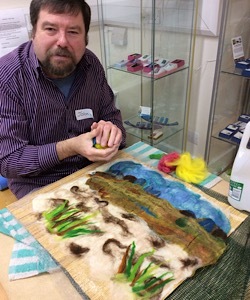 Angus works in Grantown-on-Spey as an art teacher and has a strong interest in technique based artwork and craft. 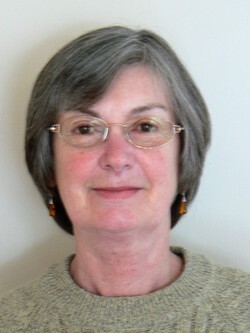 He also works as the tutor for the "Spey Art Group", running workshops on painting, printmaking, ceramics, collage etc. 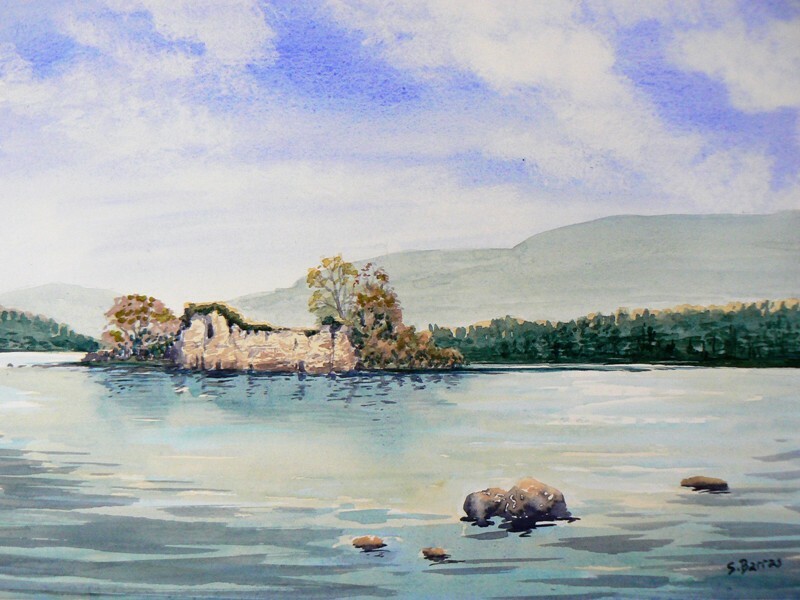 He specialises in acrylic paintings of landscape and wildlife. 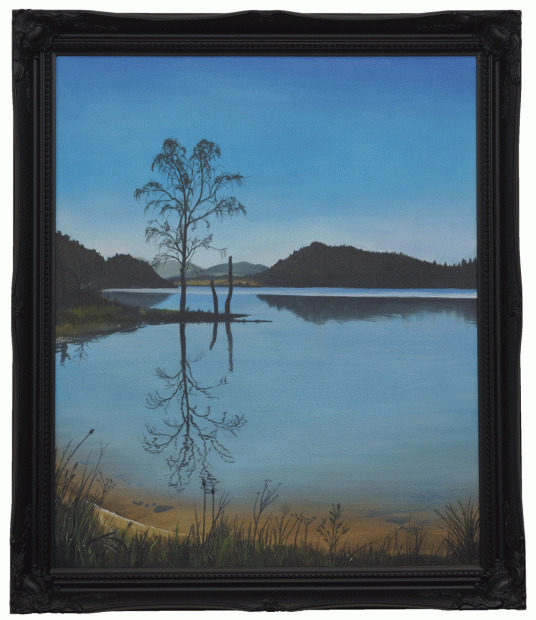 His paintings are influenced by the ever-changing light of the natural environment, and he draws much inspiration from trips walking in the hills or fishing on the lochs of the national park. 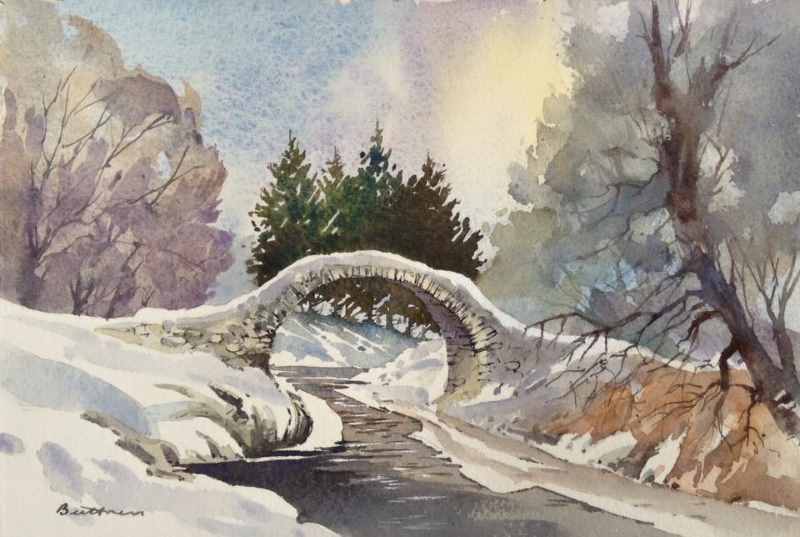 A selection of this member's work is shown below - click to view a larger image in a new browser window. 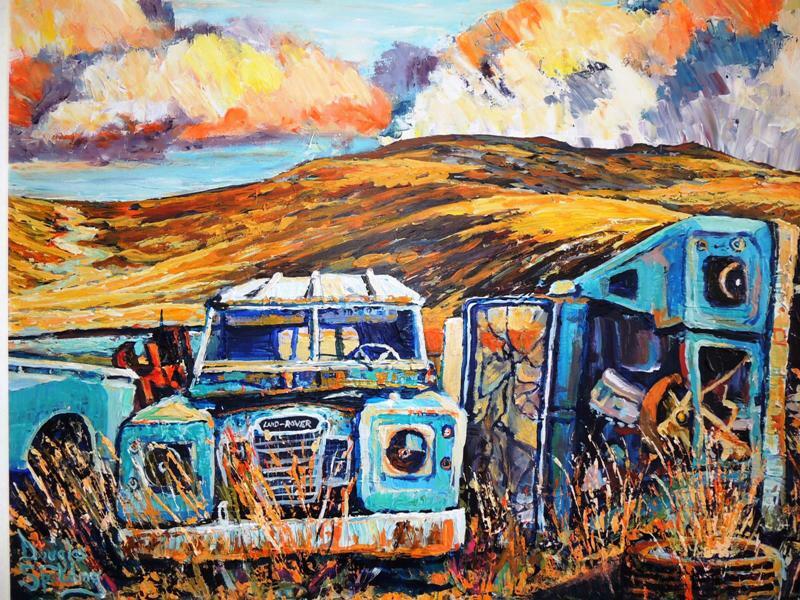 I am a Highland artist and have lived and worked in the Cairngorms National Park all my life. 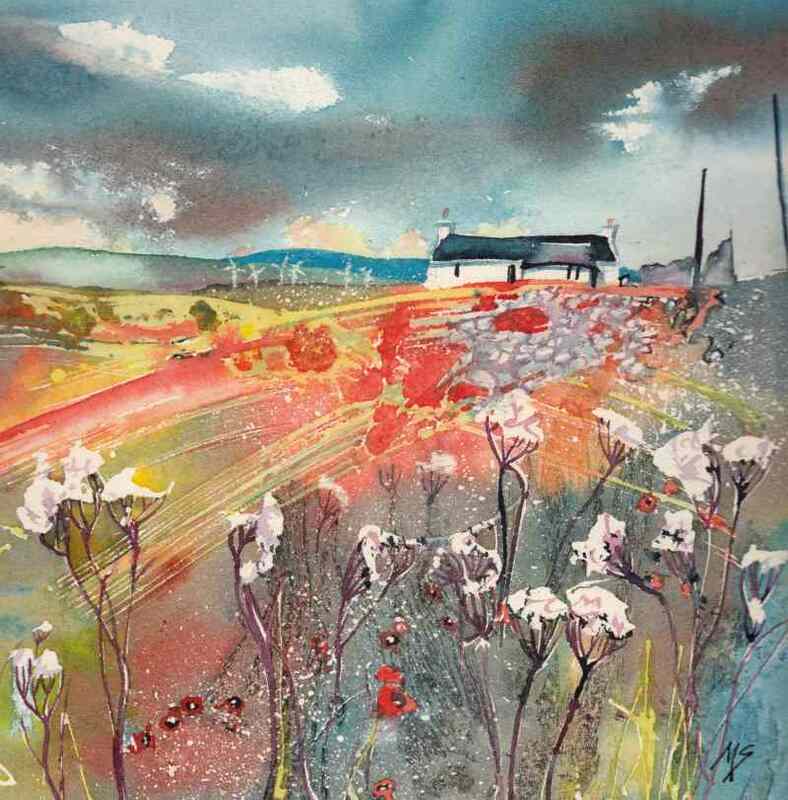 Working in pastels, pen and ink and mixed media, I am inspired by the dramatic local landscape, fickle weather fronts and traditional, character filled cottages and bothies. I have also worked successfully on children's book illustrations. I have exhibited extensively. 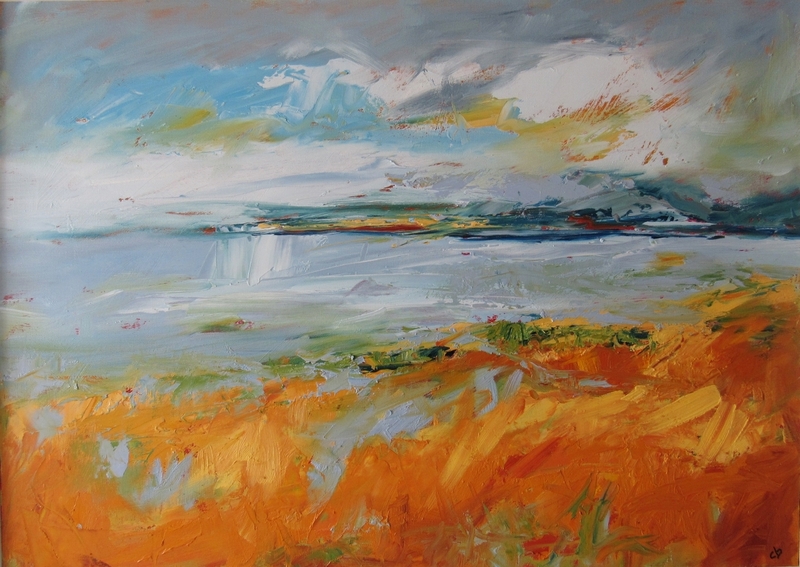 My work is collected nationally and internationally and hangs in the Scottish Parliament and the Royal Bank. 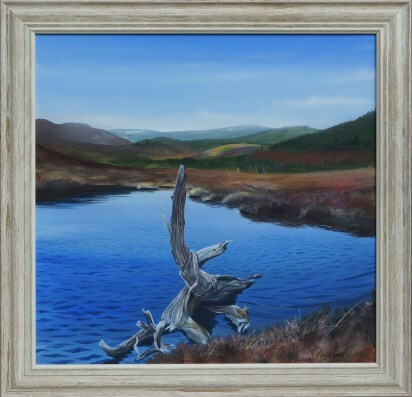 I am a full time landscape and wildlife Artist living and working within the Cairngorm National Park. 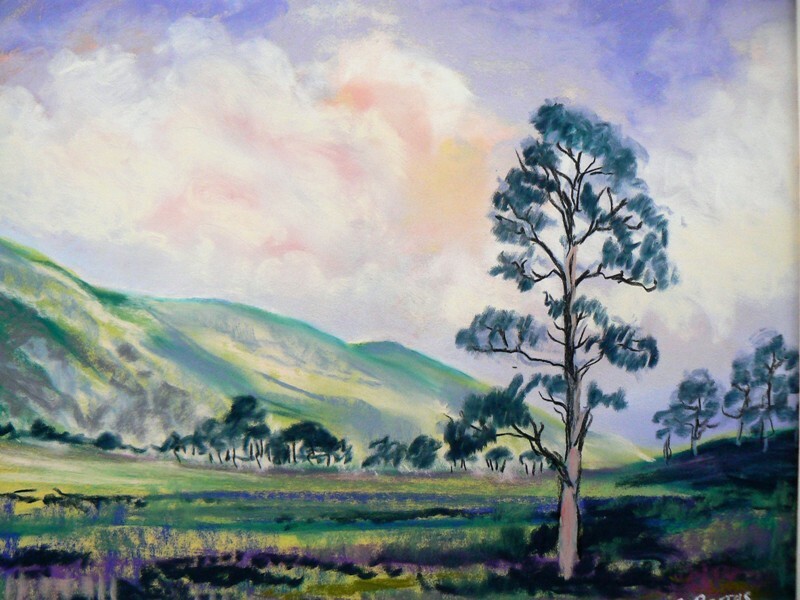 I have my work exhibited at A'anside Studios Tomintoul. Commissions undertaken (prices on request). 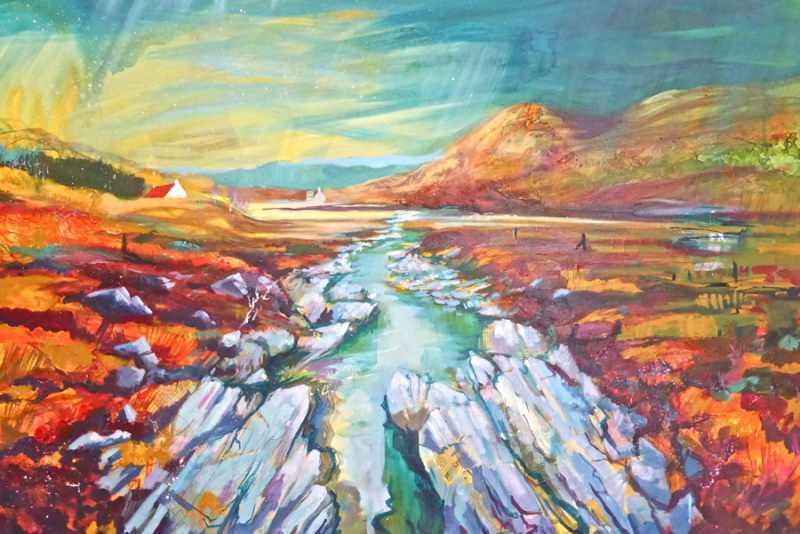 Derek draws inspiration for his oil paintings from his long acquaintance with the mountains and coastal scenery of the north of Scotland. 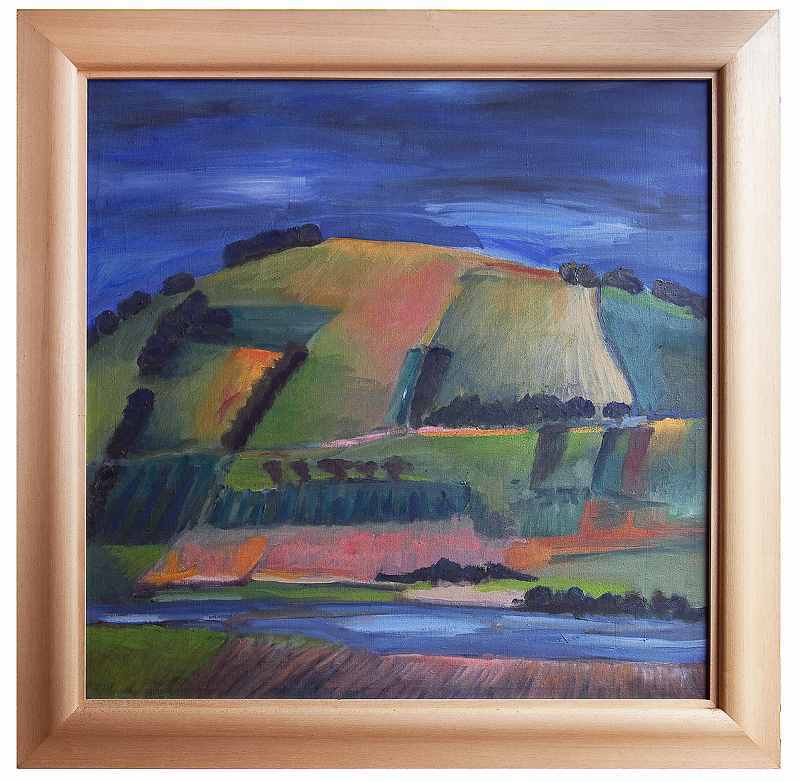 Although the paintings are representational, his individual style has a distinctive leaning towards abstraction which contributes to a feeling of place that the viewer can identify with, possibly through personal experience. 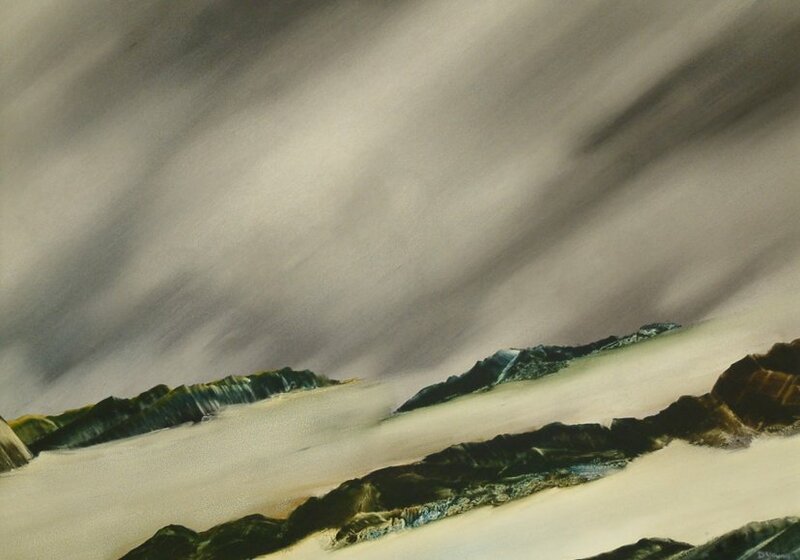 Texture is emphasised and the muted colours used contribute towards a very distinctive and personal interpretation of the essential nature of the Highland environment. Favourite subjects may be interpreted many times but the manner in which he prepares and applies paint ensures that no two paintings can ever be identical. 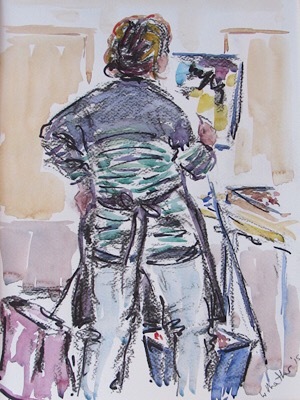 Derek wishes to acknowledge that his style is influenced by a technique developed by his friend and fellow artist the late Peter Barton. 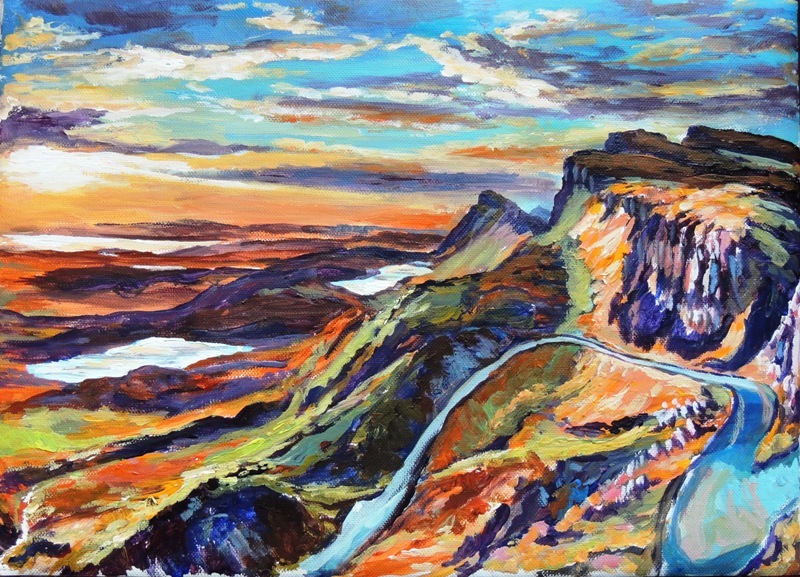 Examples of Derek's work can currently be seen at Dandelion Designs, Stein, Isle of Skye, Riverside Gallery, Inverness and Tore Art Gallery, Tore, Muir of Ord. 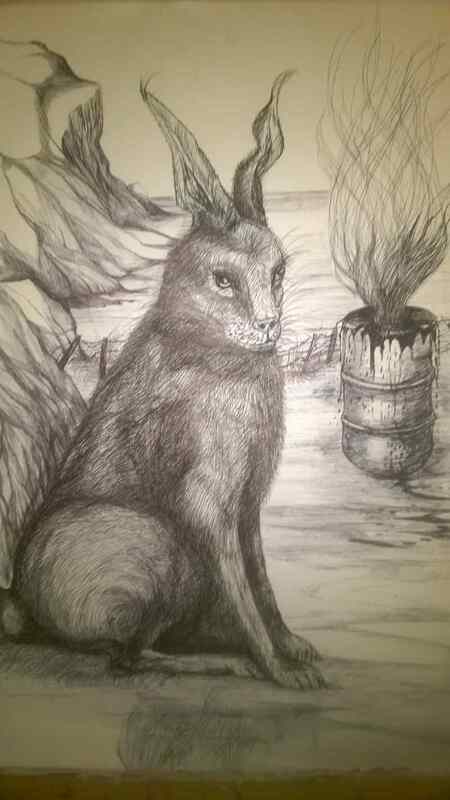 Working from drawings and sketches in paint, ink or pencil in� sketchbooks, I like to create imagery, manipulate it in PhotoShop, then� transfer it on to a selection of surfaces, some of which have been raw materials, felt, old scraps of material, wood and often bird feathers, bones or stone. Three dimensional pieces have been produced by casting from animal skulls in plaster or gum tape and then embellished with paint or found objects. 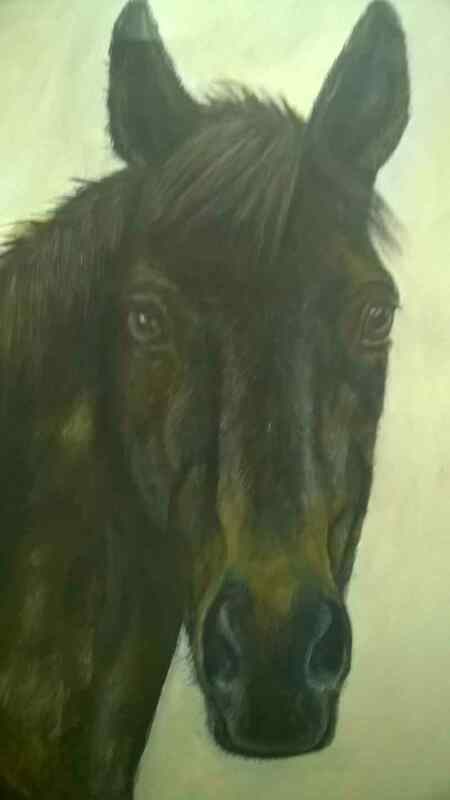 Studies of the equine have been a strong element in my work for many years and I am often commissioned by horse owners to produce paintings or drawings. 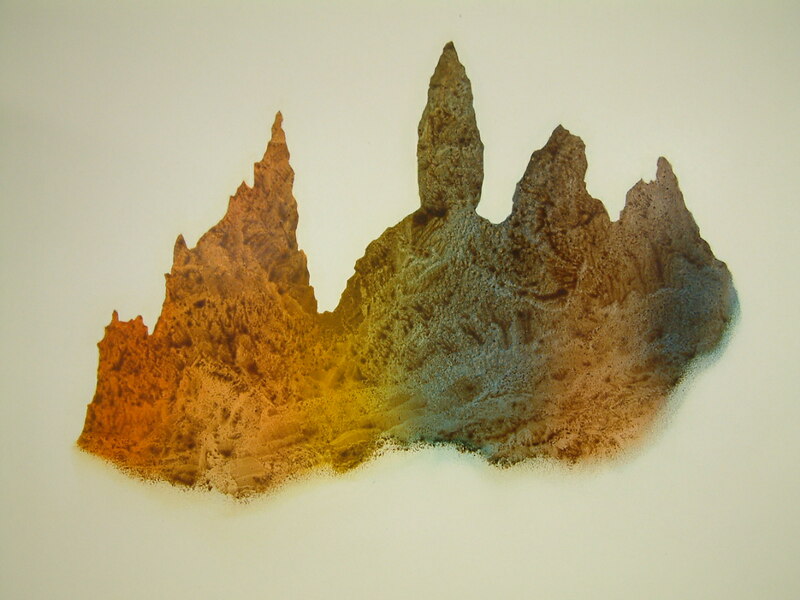 Etching is a strong favourite of mine, having studied printmaking at Edinburgh College of Art for four years as well as painting and constructed textiles. I use these methods frequently and the Inverness Printmakers Workshop is a great facility for me. Studio work is run alongside my career as an art teacher and I often use exemplars to inspire pupils of all ages. Equine imagery is produced in smaller formats for prints and greetings cards. 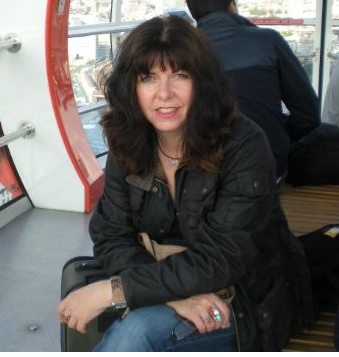 I have worked as a classroom teacher of art and design and used my skills every day to inspire pupils. Presently I am teaching at several secondary schools and complete my MFA in Contextualised Fine Art Practice in August 2017. 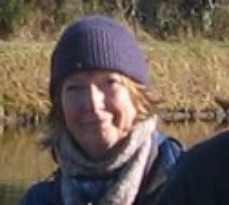 If you would like to contact Julie then please use the 'Send Email' link. I was born in the Highlands of Scotland. Being brought up with the sea close on one hand and heather clad hills on the other, instilled me with a fascination of the natural world. 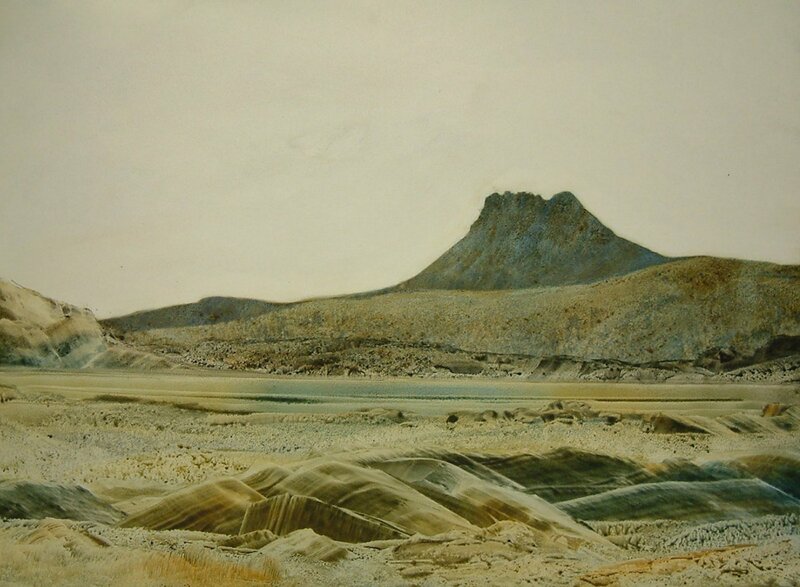 From as far back as I can remember this interest came hand in hand with a compulsion to translate my experience of the environment into paint. Despite this, I spent most of my adult life working in office administration, with drawing and painting continuing as �just a hobby�. It was not until I reached 40 that I decided to pursue a career in art. 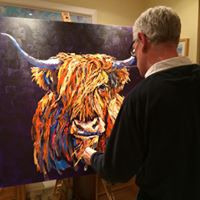 I currently exhibit in galleries such as, Macgregor Fine Art, Glasgow, The Castle Gallery, Inverness, The 1896 Gallery, Boat of Garten and Loch Eilein Gallery, Rothiemurchus to name a few. 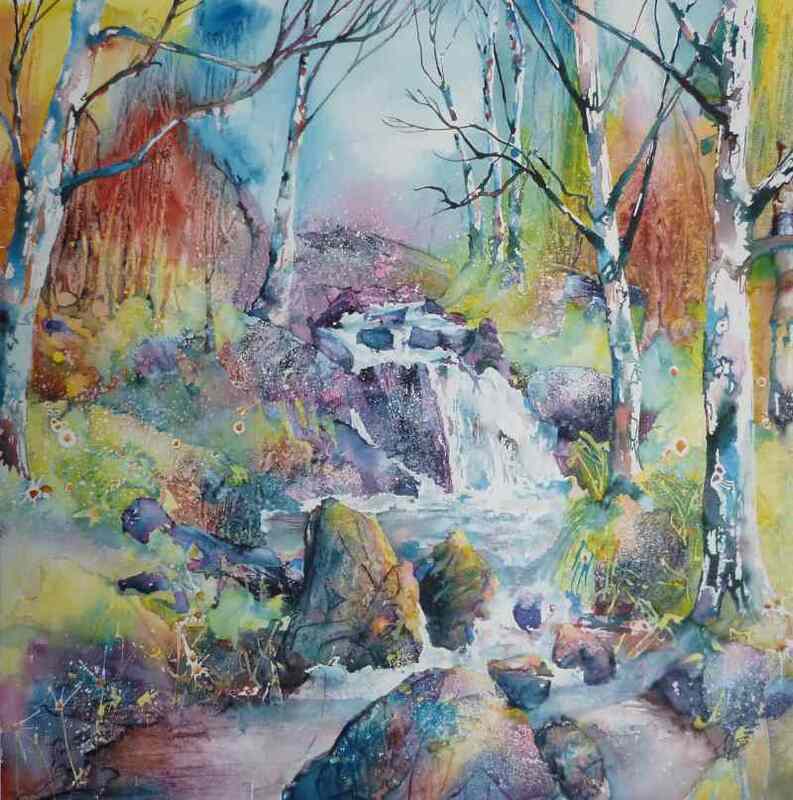 I work in a variety of media but predominately watercolour, which I love for its fluidity, freshness and unpredictability, properties which I feel are echoic of Scotland itself. Many of my paintings feature the ever-changing sea, mysterious woods or the tiny, yet bold, wildflowers that carpet the countryside. 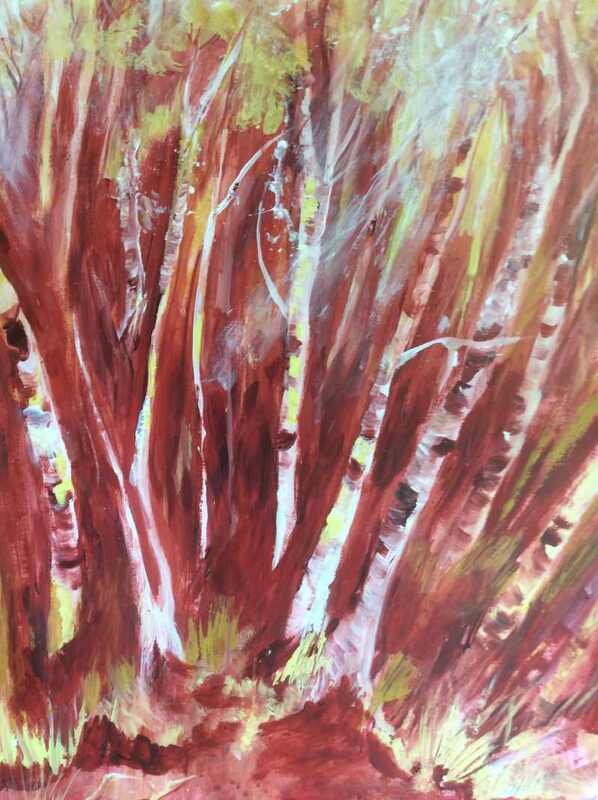 I paint spontaneously, preferring not to over plan so that I can work with the medium rather than try to restrain it. 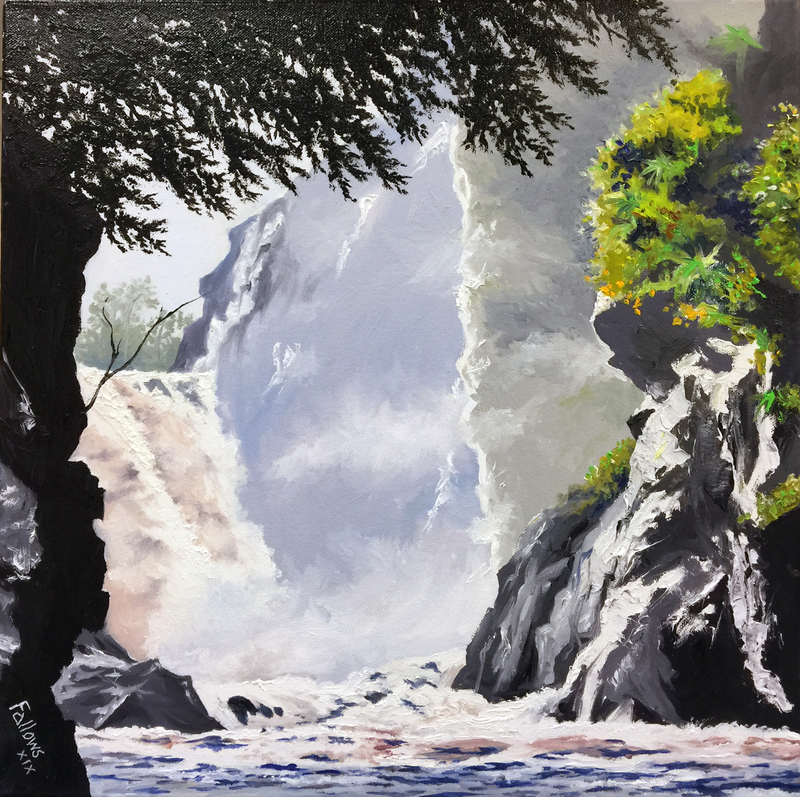 This allows the painting to change and progress with each piece of work becoming an exploration, not just of my subject but also of the paint and it�s interaction with water and paper. I maintain an element of experimentation within my work so that painting continues to be an adventure and quite simply, a joy. Further examples of my work can be seen on my web site and I am happy to accept commissions so please feel free to enquire, on a no obligation basis. 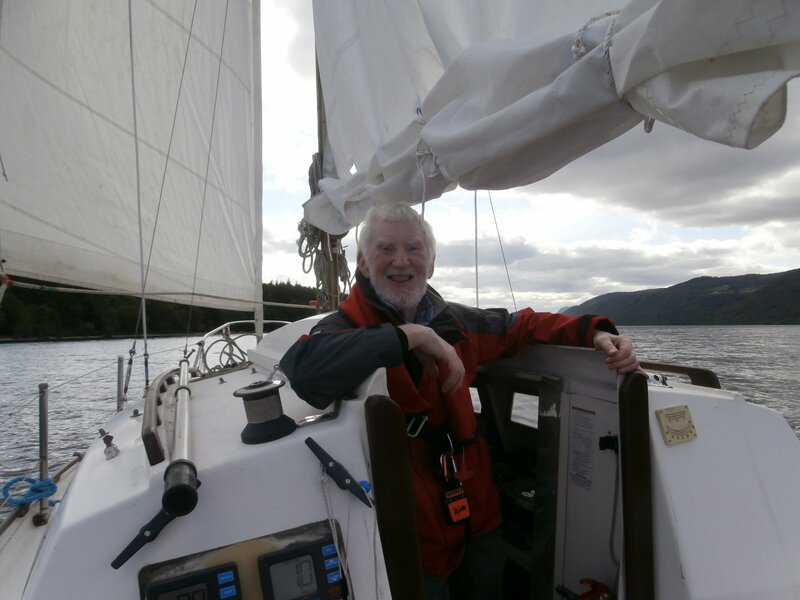 I was born in the Highlands and for many years I have been teaching and enjoying passing on what I have learnt to adults and children. I studied at Glasgow School of Art and then did teacher training at Moray House in Edinburgh. Most of my career has been teaching in Schools and a Special Needs School. 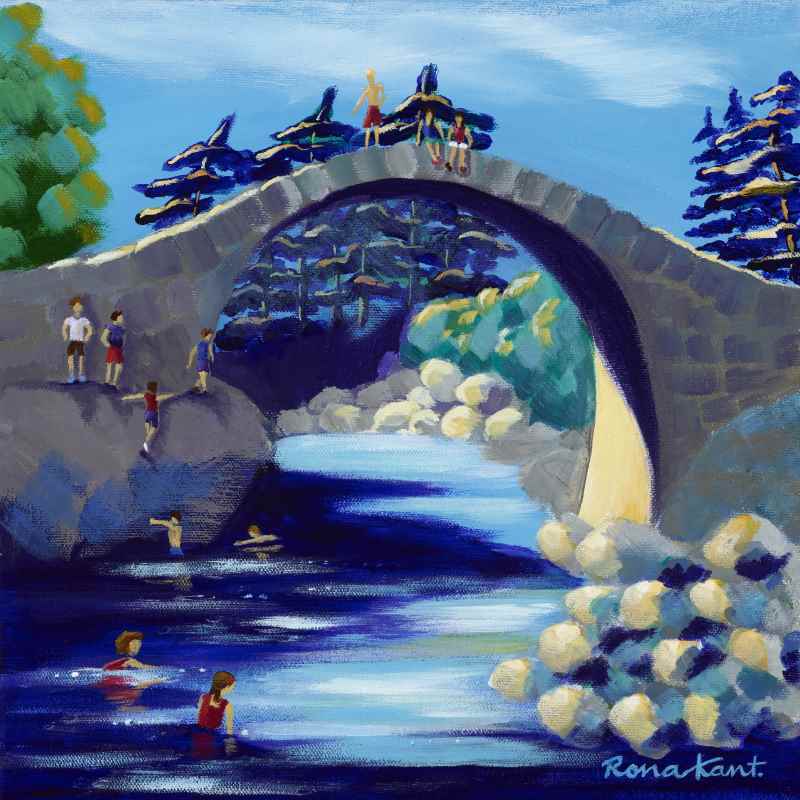 I have also taught in Community Education, Adult Education and various Art groups and workshops. I have loved teaching and helping people be creative and gain confidence in their work. 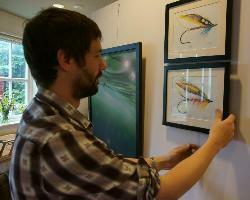 Every two years or so I would also put my own work into group exhibitions or solo exhibitions. 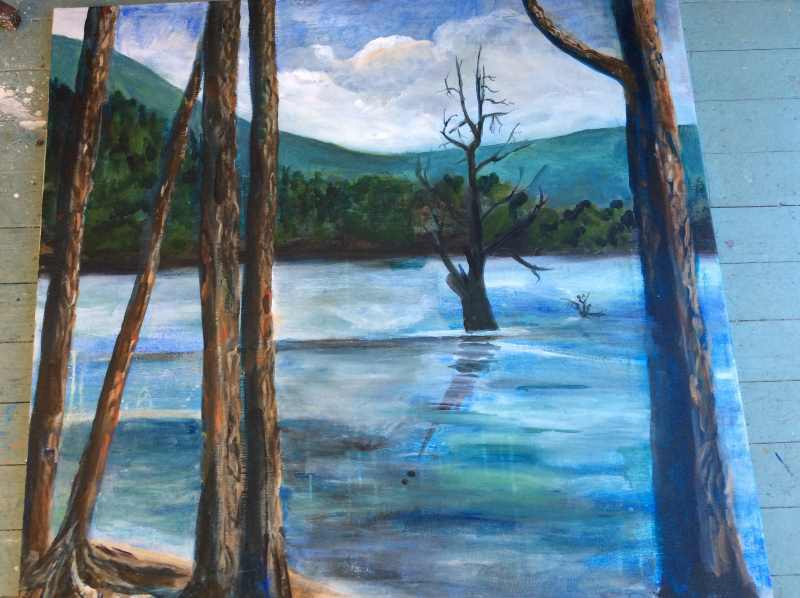 Painting for me is an interpretation of my surroundings. I love seeing the changes and infinite variety in colour and pattern and energy that is all around us through the seasons and new compositions in every scene. My aim is to paint impressions and feelings of what I see. 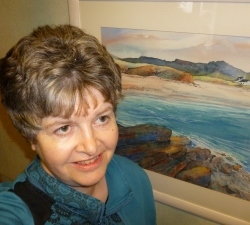 I work in oils, acrylics, watercolour, pastels and mixed media I have recently taken up an interest in weaving and felt making, silk painting and fibre crafts which are quite often abstract in contrast to my paintings which are usually representational impressions. I have joined Creative Cairngorms and enjoyed meeting and exhibiting with other artists and craft people through the year. 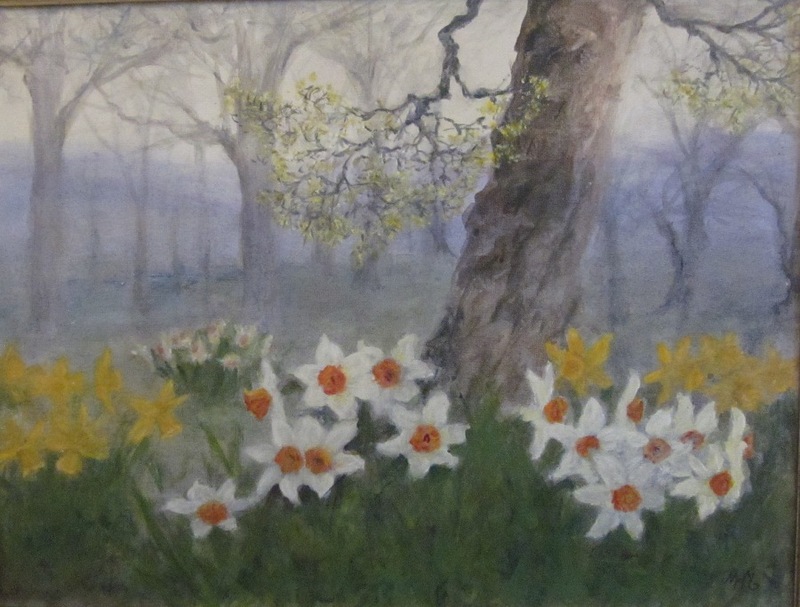 Marielle uses various media for her work, which often has a floral theme, and is also influenced by the character of Badenoch where she lives. 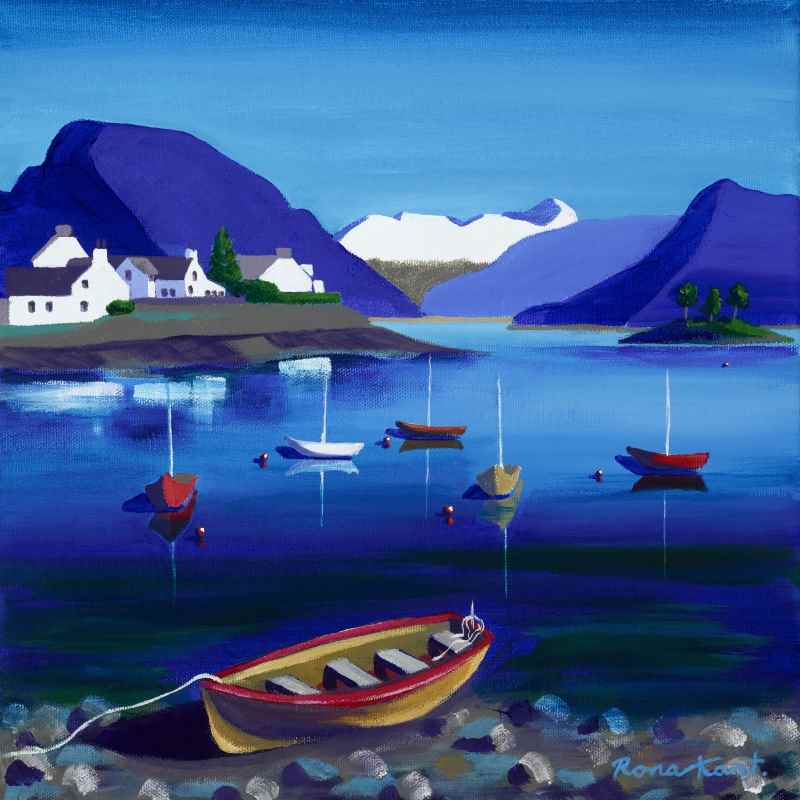 Rona developed her passion for painting when she moved from Glasgow, to the Highlands of Scotland in 2000. 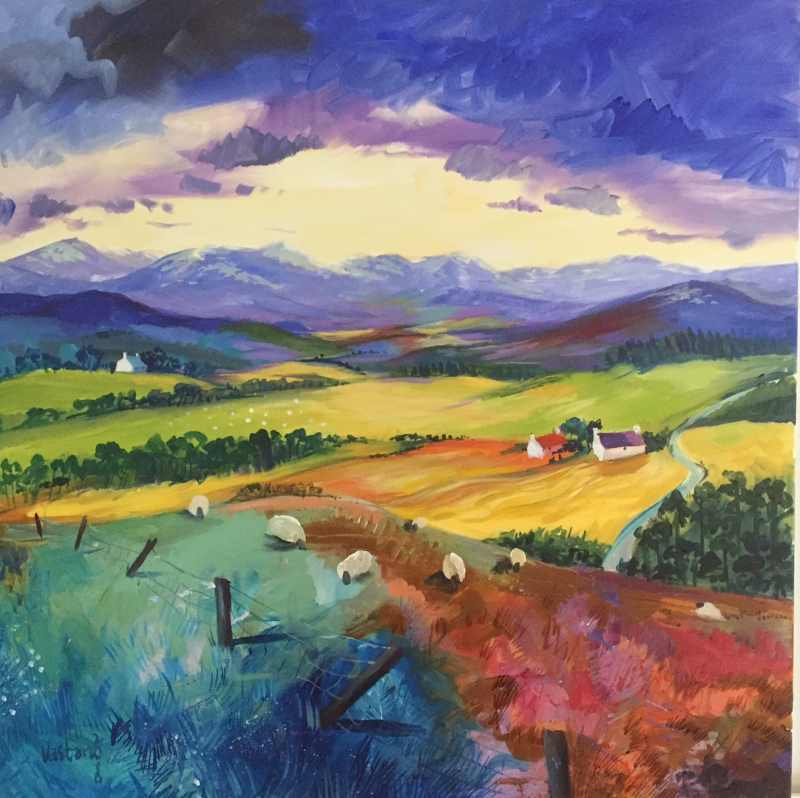 Inspired by the majestic surroundings of the Cairngorms National Park where she lives, she started to paint in acrylics to capture the light and convey the intense colours which are evident in her work today. Prior to her move to the Highlands, Rona graduated from Duncan of Jordanstone College of Art with a First Class Honours Degree in Interior Design, and then went on to gain a Master of Arts Degree in Furniture Design and Technology from Brunel University. It is this background in design which has helped Rona to achieve her distinctive style that she is known for today. 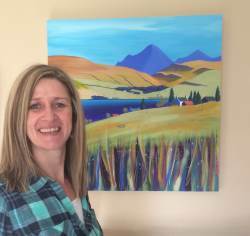 Rona took up painting as a part time career at the start of 2016 and has spent much of this year working on the many commissions she receives. 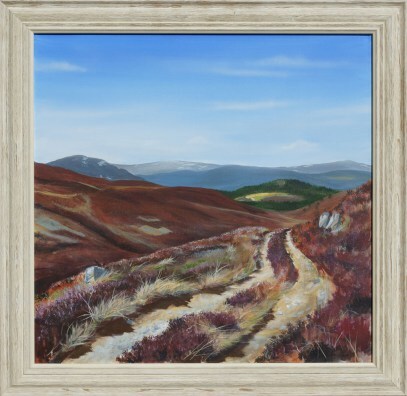 She has also been exhibiting with �Creative Cairngorms� throughout the Badenoch and Strathspey and Inverness area, as well as having some of her work on display in Aviemore and Carrbridge. 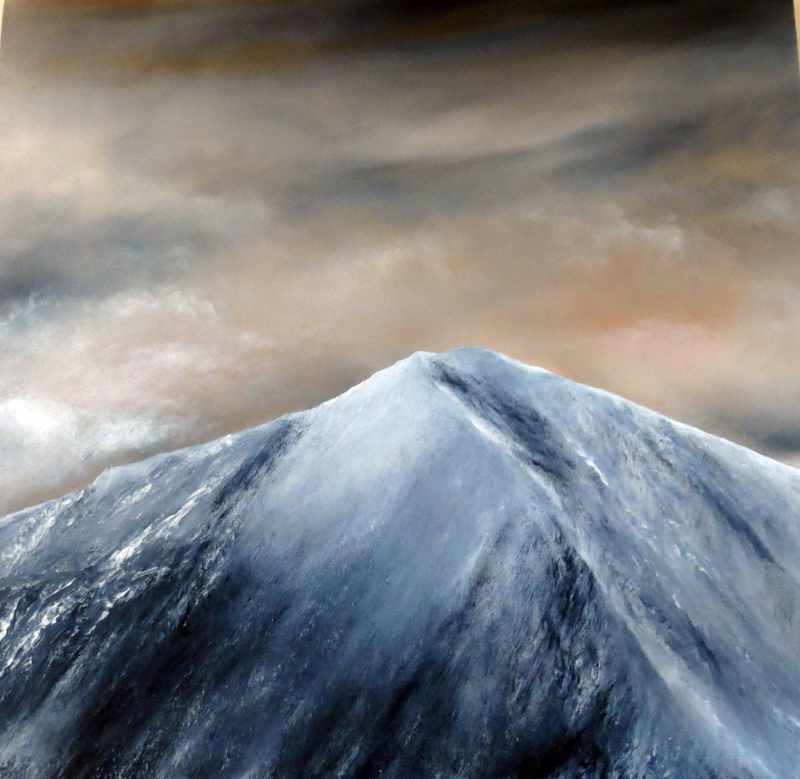 She currently has work hanging in the Royal Bank of Scotland in Aviemore and Rona�s work is held in private collections throughout the UK, Europe and Canada. Having been forced at the age of 14 to choose between art and music, I chose the latter and spent the rest of my life as a professional musician. I always had a yearning to get back to Art and in my late fifties time permitted me to do so. 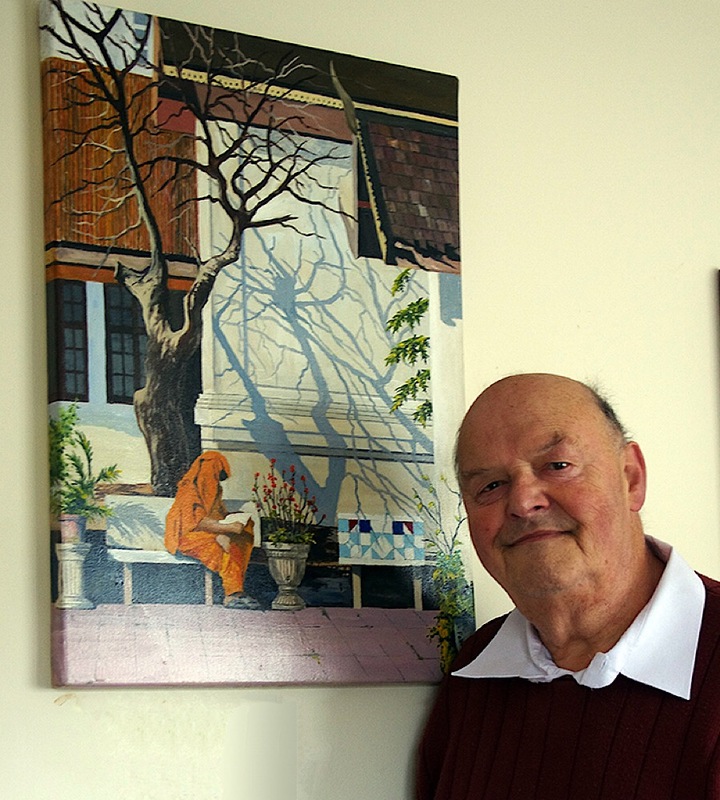 As I approach my seventieth year I am gleefully immersed in colour and paint. I began by attending week-long art courses and then, four years ago, took a leap into an inspiring 4-month Folio course in Ullapool. I am only slightly hampered by losing the sight in one eye and gaining DMD in the other! It has spurred me onwards, and hopefully upwards. 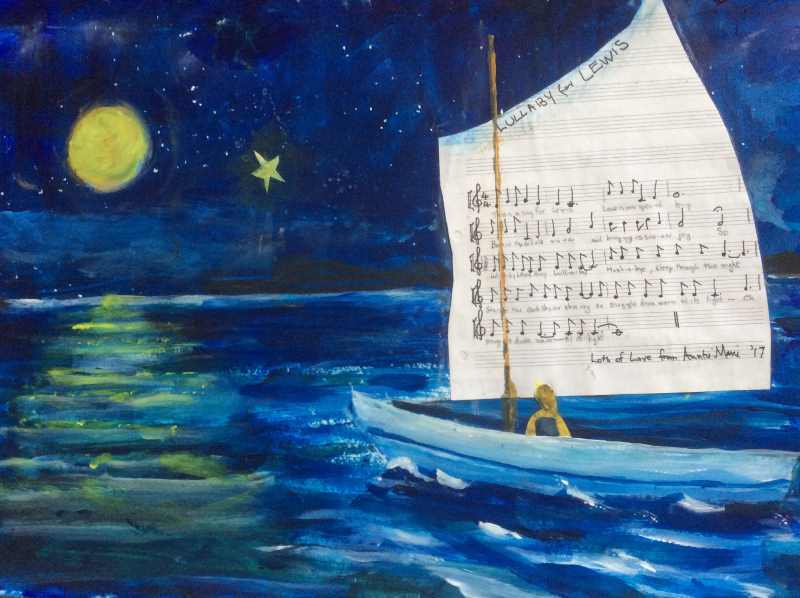 Recently I have so enjoyed the challenge of combining my musical and my artistic skills by composing lullabies for new grandchildren and other new arrivals. 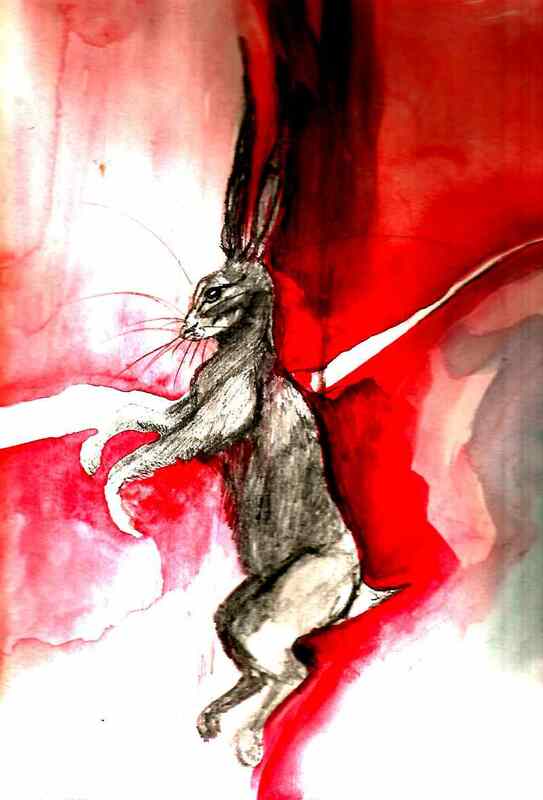 I then incorporate the music into a painting, involving many happy hours of research and planning. I live between the river Spey and the pine woods, and trees have always fascinated me, as has all the wonderful scenery on my doorstep. Love colour, love texture, love fluidity? 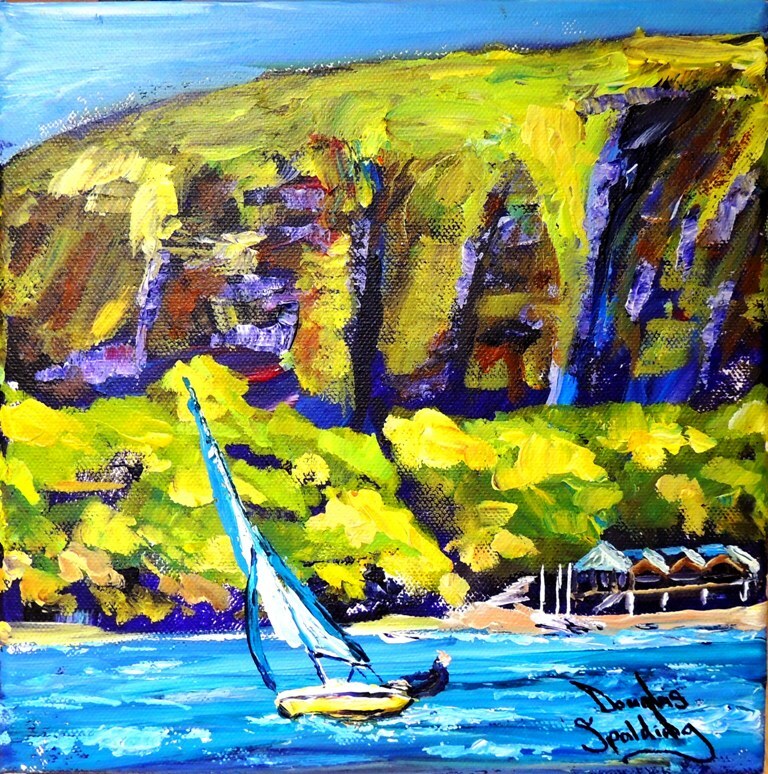 I use brush and palette knife to paint vibrant vistas, intriguing people and dramatic animals to excite the eye and engage the mind. When I started drawing and painting as a child I wanted to make art the way I saw the world. Since discovering acrylics I realised that I could explore new colours that brought scenes to life. Building the confidence to paint big and bold and learn through trial and error I created a style with happy bright colours. From magentas and yellows to turquoises, blues and violets my style is all about loving paint and especially my most favourite of all, my love of orange paint. Whether in the mountains or by the sea, my passion is to draw you something you know and love but to see it in a different light. I also enjoy the challenge of a commission that can touch the heart, be it a painting of a special place or a beloved face. 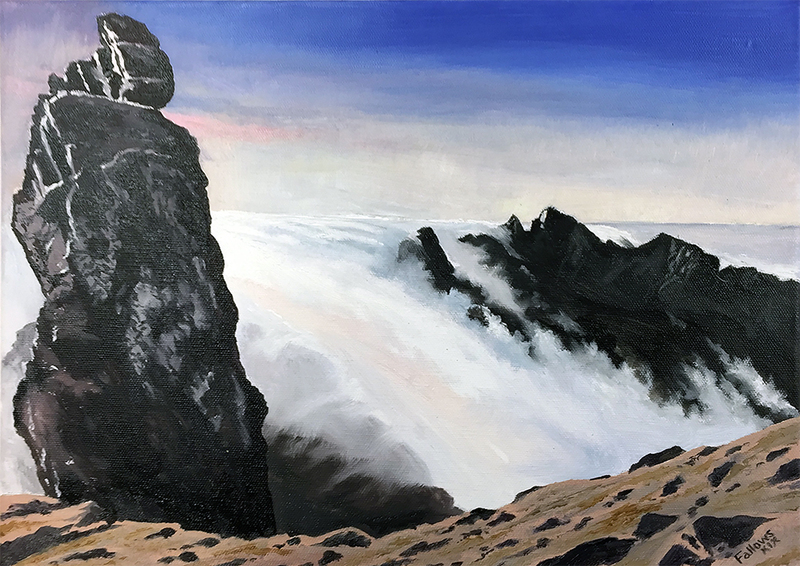 Come to the Cairngorms and see my paintings at Chapel House Arts, The Wild Flour caf�, the Letterbox Restaurant and Loch Insh Boathouse Restaurant. View my website and FaceBook page, Orange Paint Pot for work in progress and examples of commissions new and old. Get in touch and tell me what inspires you! I hold a BA in Fine Art and taught to secondary level in England. Having spent many walking holidays in the Highlands I moved with my family to Grantown on Spey in July 2016 following retirement. 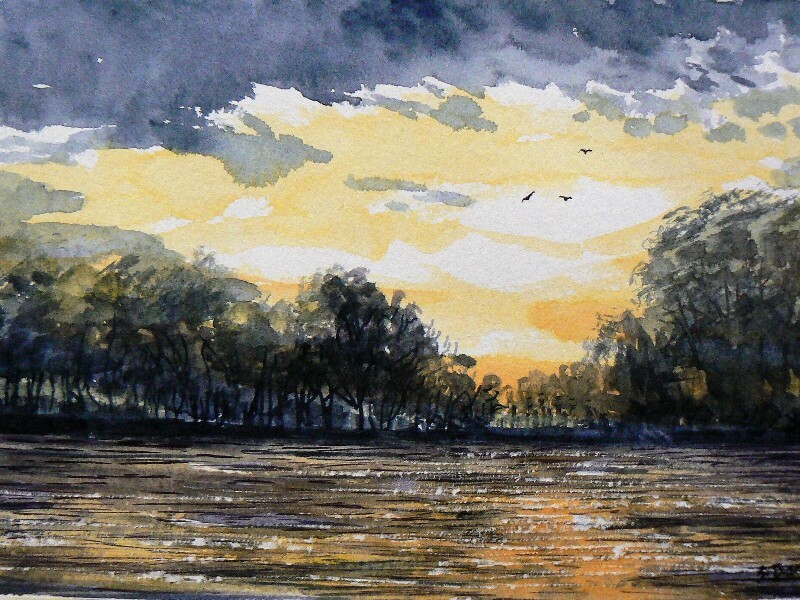 The main thread of my work is traditional watercolour but I also work in pastels, acrylics and oils. It is the natural world that excites me and I strive to capture a sense of place, mood and atmosphere whilst remaining reasonably accurate to typography, working from life or my own photographs. Now established in my highland home I have the chance to connect more intimately with an environment that hitherto I have only experienced as a tourist. 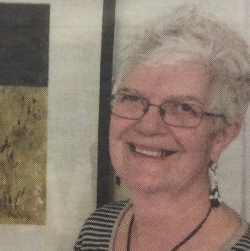 CLARE BLOIS ran her own successful gallery in the Highlands before "retiring" to concentrate on the development of her own work. 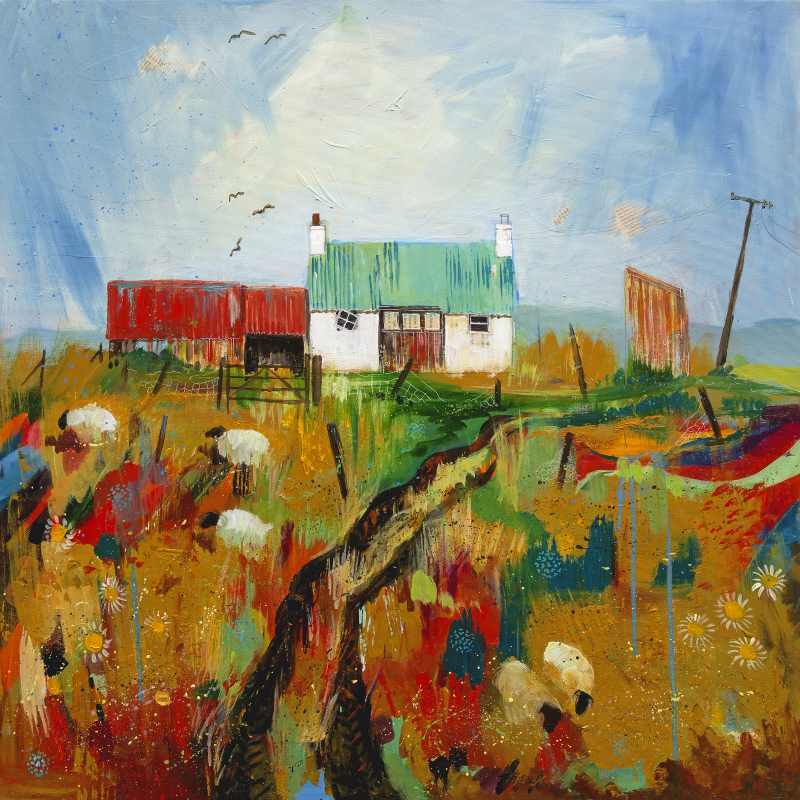 She originally studied textiles and painting with the Open College of the Arts and has won several accolades including the prestigious JD Fergusson Arts Award, presented in memory of the Scottish Colourist painter. She exhibits widely in Scotland and beyond. 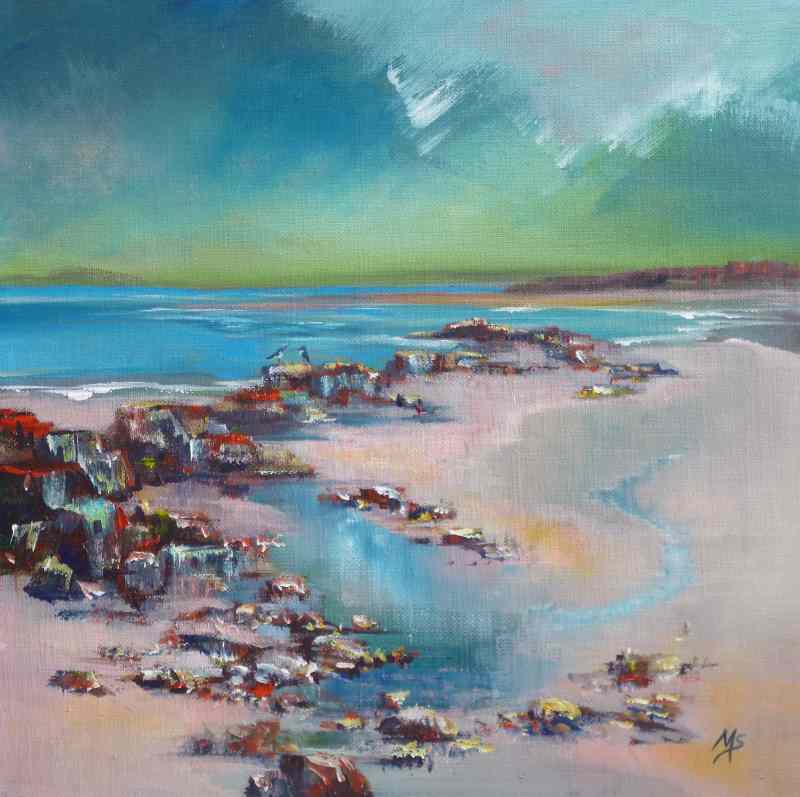 "I am a landscape painter and in the tradition of many Scottish artists I am inspired by the physical qualities of oil paint and the possibilities it provides in terms of colour, movement and texture. 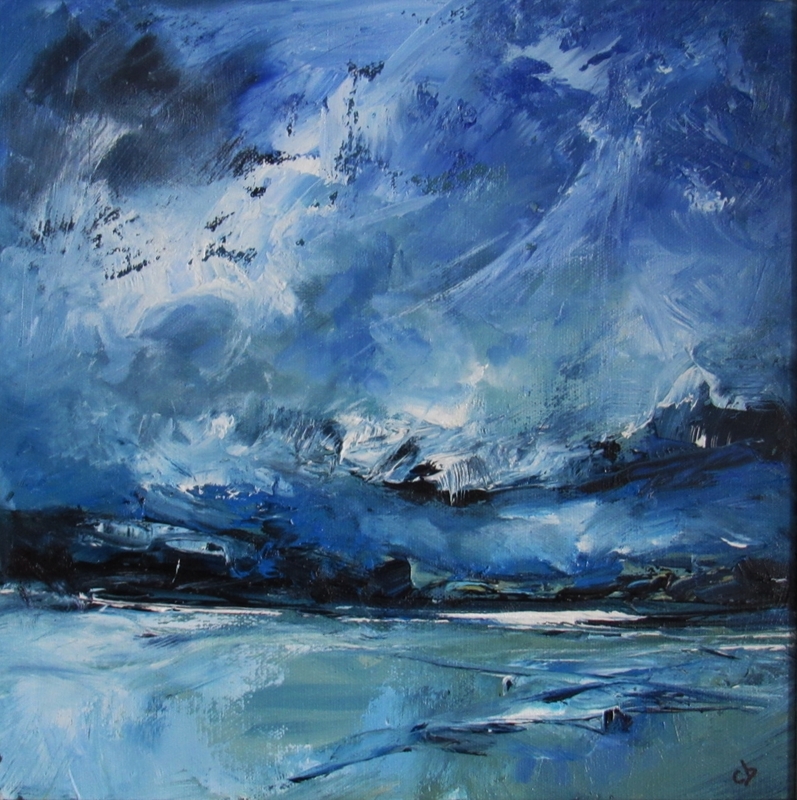 My simple objective is for honesty in my work in making paintings that convey the exhilaration I feel as I explore the Highland land, sea, wind, rain and sun. I am thrilled if others can feel it too." 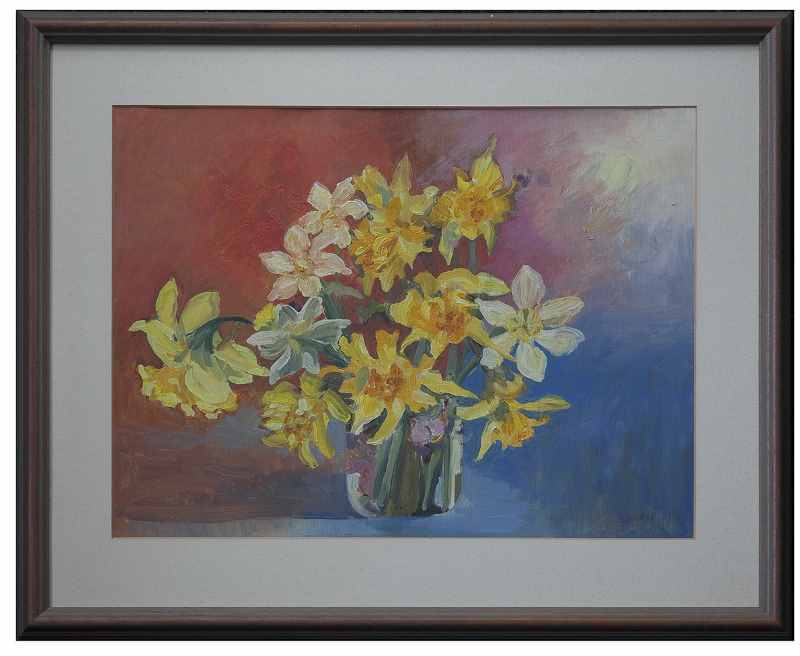 David was originally trained in oils, but over time moved toward watercolour painting. 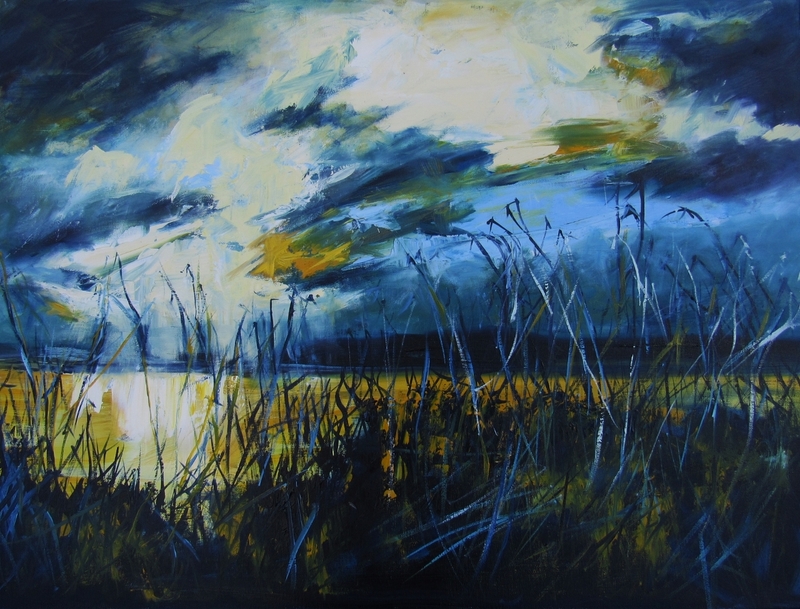 Today, he uses a wide range of media - oils, watercolour, acrylic, pastel and mixed media. 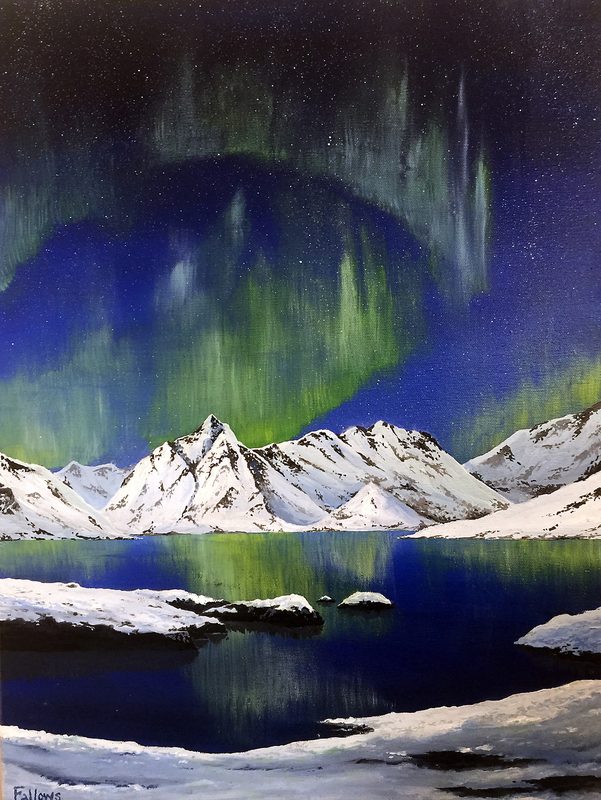 Most of his work is in landscape, but he also paints pure abstract work and is increasingly experimenting with pouring acrylic, sea glass embodied into artwork, and high gloss resin coating. 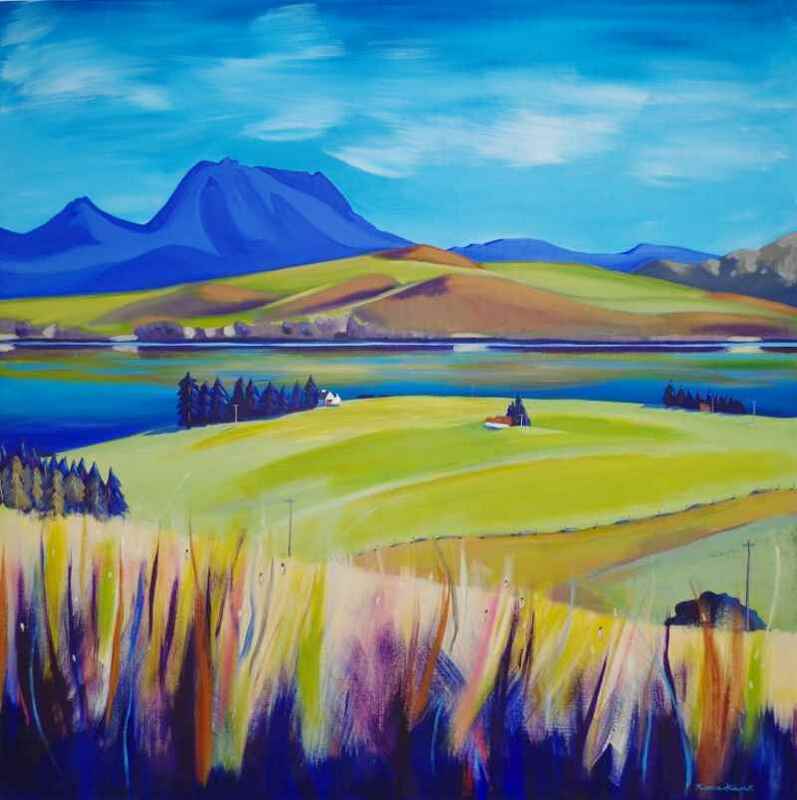 Living in Newtonmore, he works from a studio in Chapel House Arts, Kingussie where his work is always on display. 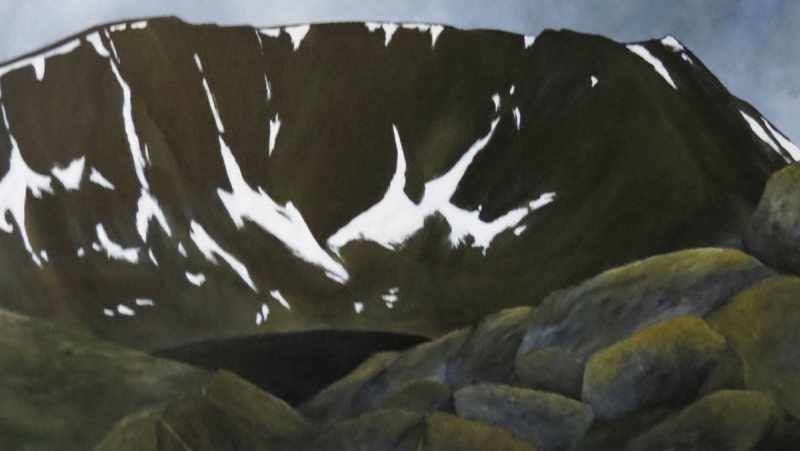 He also exhibits with Creative Cairngorms, at Loch an Eilein Gallery, Society of Badenoch & Strathspey Artists� exhibitions at the Iona Gallery and other locations from time to time. David also has a wide range of limited ad open edition prints together with cards, fridge magnets and keyrings from his work. David welcomes enquiries from potential trade outlets and is also always happy to discuss commissioned work with new clients. 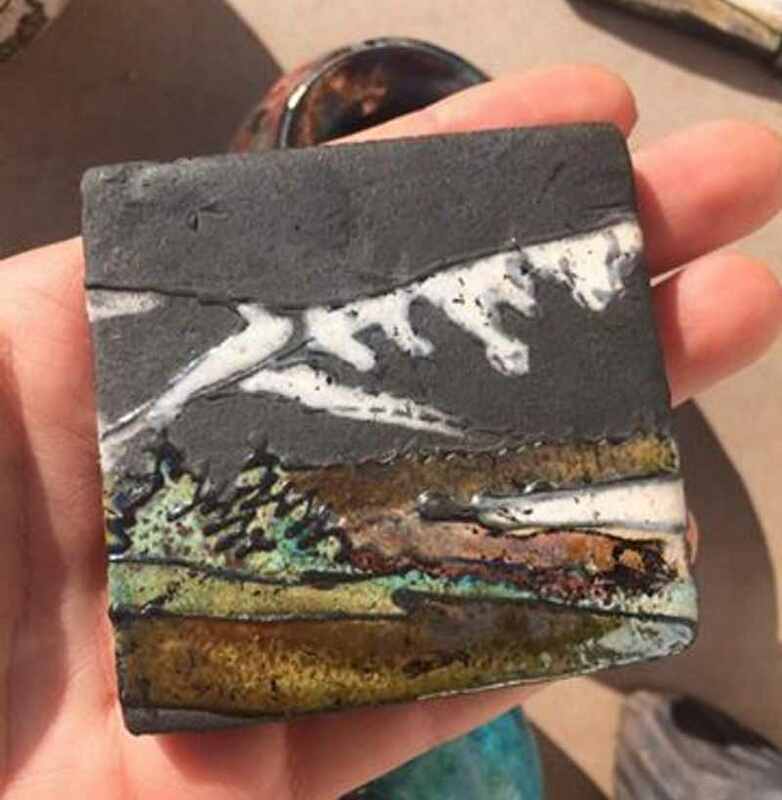 On the Main Street in Carrbridge, you will find the Carrbridge Artists Studio & Gallery, a family business, displaying artworks produced by Artist Jeff Buttress and Ceramic Artists and Sculptresses Alice & Amy Buttress. 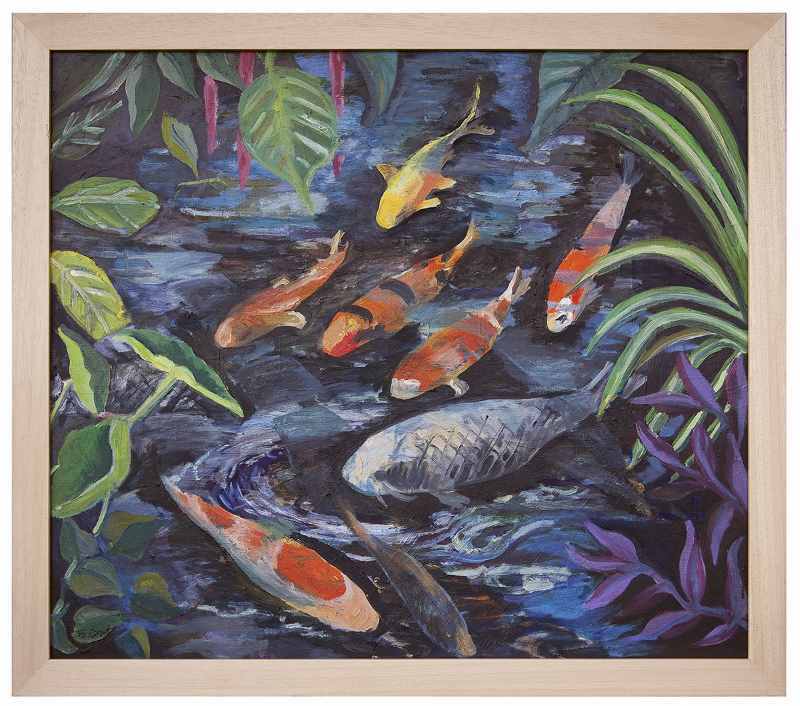 The wide selection of works they produce includes original paintings, prints and cards, Studio Pottery, Ceramic Sculptures, Porcelain & Dichroic Glass Jewellery and Chainsaw Carvings. 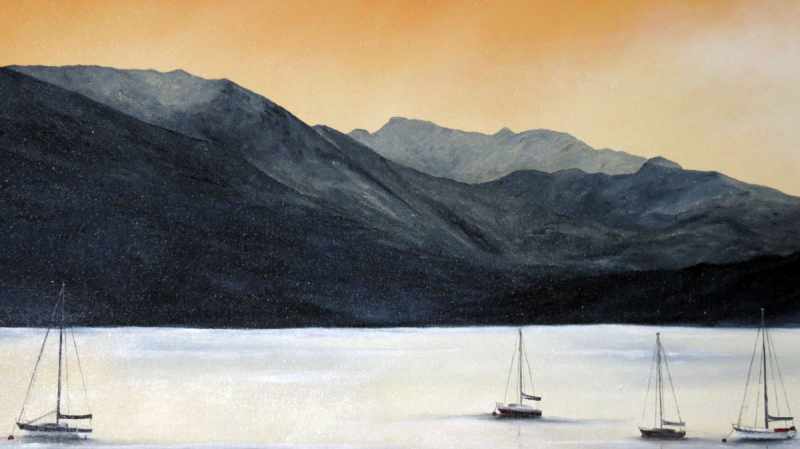 Jeff specialises in depicting the mountains, lochs, countryside and wildlife of the Scottish Highlands in Watercolour, Oils and Pastels and wonderful framed ceramics landscapes. 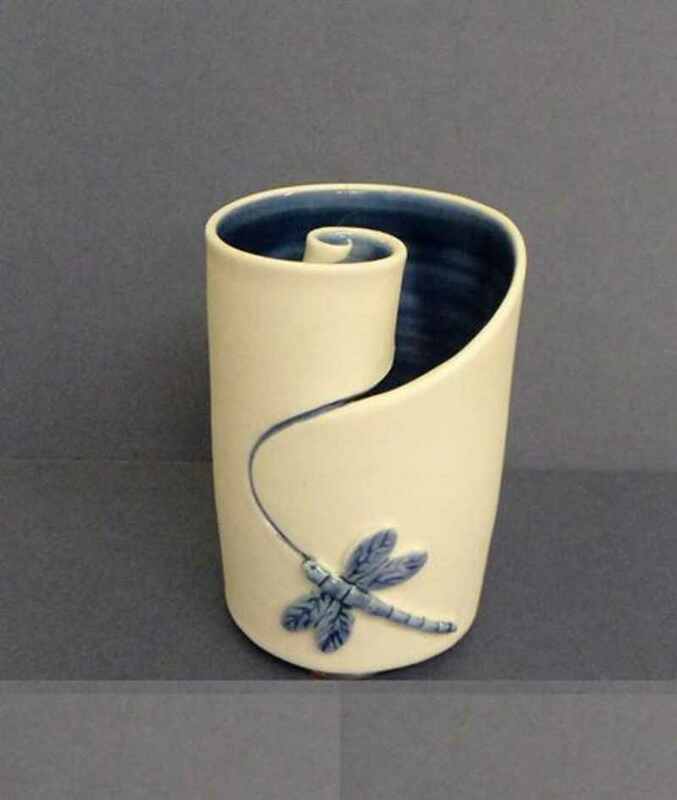 Alice's work, encompassing functional and decorative pieces, is handthrown, handbuilt or sculpted in stoneware and porcelain. She has also made a name for herself as a Chainsaw Carver, competing in the annual Carve Carrbridge Chainsaw Sculpting Competition - there is usually a selection of carvings for sale at the Gallery. Amy, having worked with clay from an early age, has continued to produce unique and unusual works of art. Her 'Raku' ceramics explore the unique effects of smoke, fire and water on the clay body and glaze, to produce exciting texture and colour combinations. She also makes a very popular range of Dichroic Glass Jewellery.